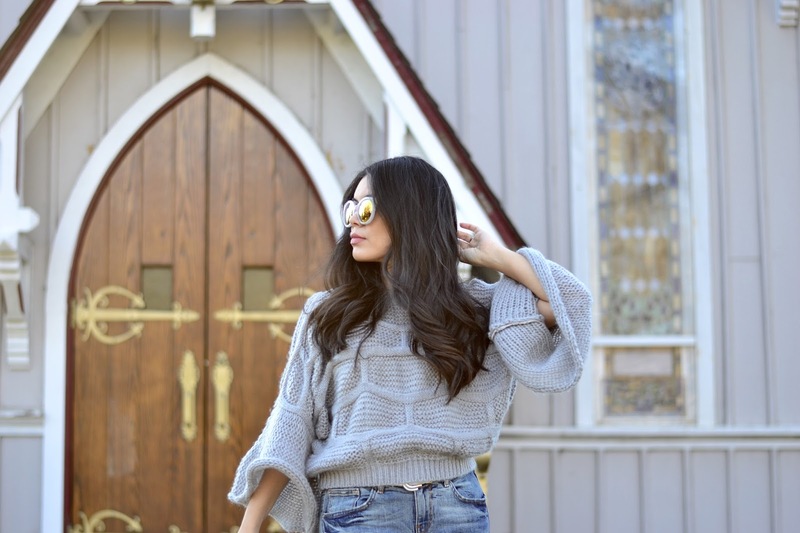 my latest favorite; this super chic gray sweater with my favorite ripped jeans and gray heels. The trick to wearing these fashionable sweaters or tops is to keep in mind your body shape, you know your body and want works. I am 5' tall so I wanted to wear it with fitted jeans and heels to give me some height. I love the way this OOTD turned out. Keep a look out for so many more of these tops/sweaters for the rest of the year, as it is a trend that is here to stay this season and on. I love this easy outfit for winter, it was super comfortable and still looked fashionable and chic. This is a great outfit idea for Valentines' Day, dinner with the girls or a shopping trip on this weekend. PS: this sweater is just $20! Find it here. Happy shopping!